Beautifully cared for 1-level home on 1/3 acre lot! NEW carpet throughout, vaulted ceilings, skylights + lots of bright windows! Spacious living room, formal dining, good sized kitchen w/pantry, breakfast bar, all appliances included! Large family room w/french doors, slider leads to HUGE deck in back yard wired for a hot tub nearby w/ cement pad. Master w/private bath, walk-in closet, + deck access! 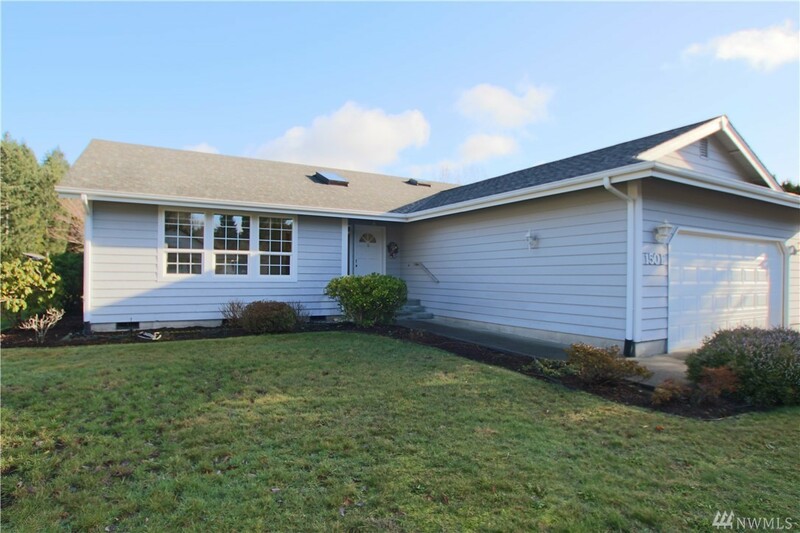 Laundry room, oversized 2-car garage, paved RV parking, shed w/shelving, nicely landscaped!